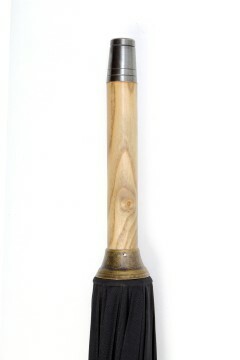 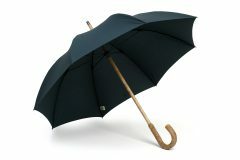 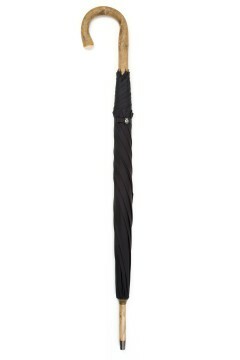 Handmade using a selected piece of English ash, this umbrella combines traditional craftsmanship with an informal style. The distinctive rough bark is left on the handle contrasting with the smoothness of the polished shaft. 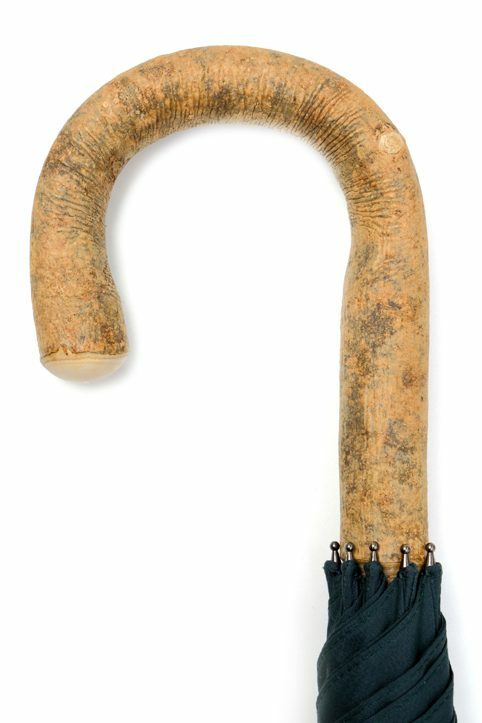 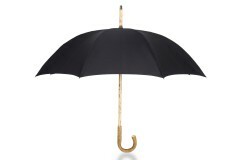 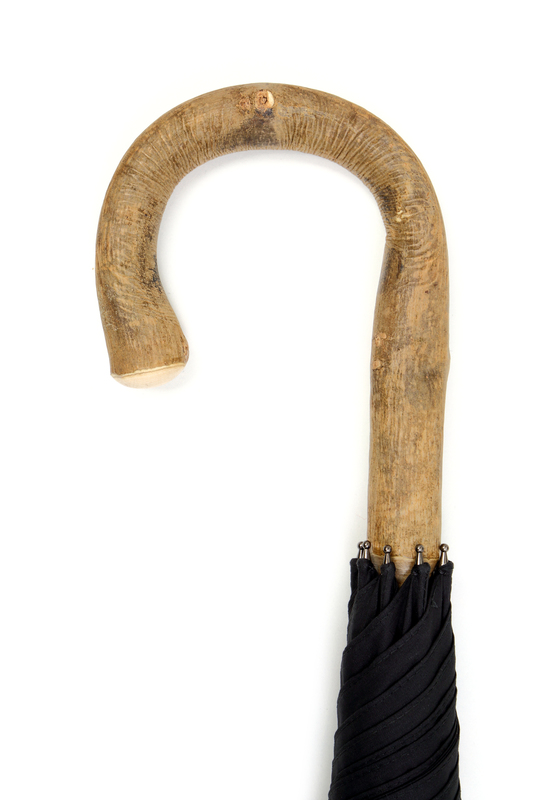 Strong enough to be used as a walking stick, this umbrella is the ideal country companion. The cover for this umbrella is made from a thicker polyester/cotton blend. This umbrella will be adjusted to the correct length for the intended user and finished with a brass ferrule.